I-COM Data Startup Challenge showcases top Startups who leverage value from Marketing Data & Measurement as the central selling point of their product or services. The 7th edition of the I-COM Data Startup Challenge will showcase top Startups from around the world who leverage value from Marketing Data & Measurement as the central selling point of their product or services. Success in a Data world means aligning a “dream team” and Ecosystem of companies that enable competitive advantage for their clients by leveraging value from Data. Never before has there been such a curiosity and need for large enterprises to understand and invest in the latest approaches and technologies that are on the horizon. Our distinguished Board & Jury members have now selected the Official Selection finalists for the 7th edition of the I-COM Data Startup Challenge. The Official Selection will be showcased with all finalists presenting on May 13th, during the I-COM Global Summit in Malaga. The Top 20 Startups will have an opportunity to attend the 4-day I-COM Global Summit (including the iconic Gala Dinner) as part of the Official Selection at a discounted Summit access fee. The Finalist Startups will qualify to participate in the final round of judging and present to the Global Summit attendees. The Finalist Startups have the opportunity to be mentored by leading executives with valuable experience including strategy, technology, marketing and business development. It’s been remarkable to speak one on one with lots of the people that we reached out to before the event. We got great advice and opportunities to try out our software with major brands at the I-COM Global Summit. The summit is a must attend event if you are working with data that is to be used for better marketing, customer experience and better services. 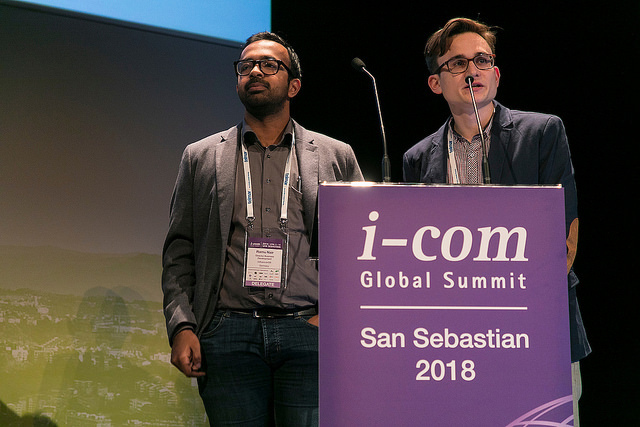 E Fundamentals was proud to be announced as the overall winner of the prestigious I-COM Data Startup Challenge and also winner of the Attribution category. This competition attracts great entries from around the world providing a valuable learning experience. The judging panel is of the highest quality and developing our submission helped us to sharpen our communications. The event itself is a wonderful opportunity to meet potential clients and collaborators. It’s a great gathering of the Marketing Data Elite and it’s the right audience for us: the agencies, the brands, technology companies… they are in the sweet spot for building our business. It is a fantastic networking opportunity with customer experience and marketing data professionals. And good vibes too! For us it’s a great opportunity to network not only with Europeans but also with American brands, media representatives and technology partners. Even though the summit lasts only 4 days, we feel we’ve learned a lot. For example, how we can enter the USA market or how a brand can benefit from our solutions in Asia. Many high-profile individuals, with a lot of experience are open to exchanging their thoughts and give you advice. It’s a really good platform for startups. Our experience is very positive, it was well organised and well-paced event, with in-depth content and plenty of opportunities for networking. It has helped us to have initial conversations with potential clients and partners. I-COM did a great job in creating an environment where people can cultivate relationships, many of these are continuing today and could potentially become lucrative business partnerships. Having experienced the Summit, we can say that the cost of the summit access is more than fair. It entails proactive work on the side of the startup to get value, but if you are willing to put yourself out there and start the conversation, there are certainly many opportunities to do so. I-COM created a fantastic environment to enable us to do that. For companies like ours, global knowledge sharing among peers and developing our business across borders is invaluable. We have found great value in connecting to the world via I-COM, engaging new audiences. We loved being a part of I-COM because it has brought us fresh exposure to potential customers. To top it all, the support by the I-COM team has been brilliant - quick, helpful and personal. Being selected as an Official Selection in the Data Startup Challenge has helped our business immensely, giving us global recognition that opened doors to new clients and investors. I was impressed by the other startups we competed against, and the attendees at the Global Summit were top notch and we made many new high level connections with some of the world's largest brands and agencies. We'll definitely be attending I-COM every year from now on! 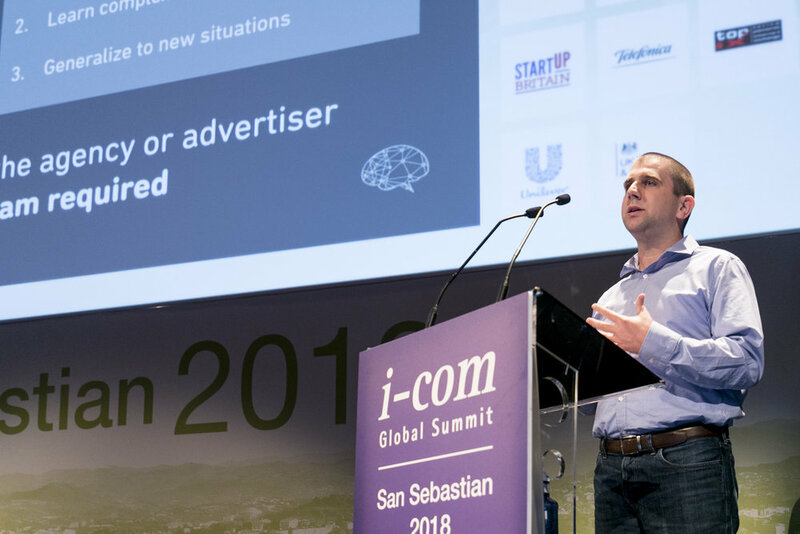 I-COM Global Summit was a fantastic event for us. We enjoyed meeting so many leaders from the global marketing and data space in such a perfect location to mingle and get to know one another. To win two awards was an absolute highlight and we have initiated many relationships that are continuing today! 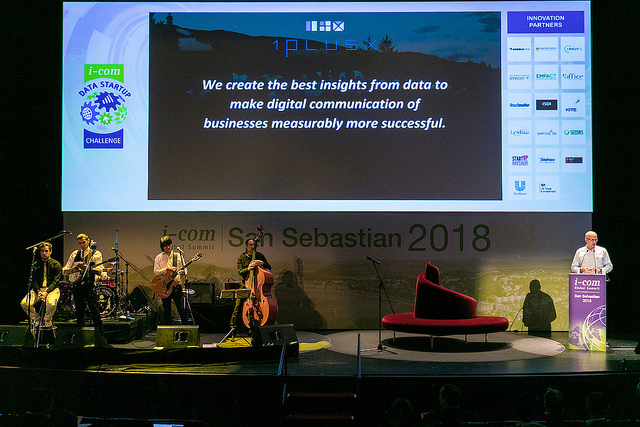 We found the I-COM Data Startup Challenge in Sevilla a great opportunity to meet and communicate with experts in data marketing. During the summit, we explored a lot of potential directions for our company and shared and discussed our efforts in data marketing with associates…. [the summit] was held in an open and welcoming environment. We gained very useful suggestions and ideas among discussions. Andreas and his team have created a perfect blend of location, food and business. He brings together the best of breed in a fun environment to explore new thoughts and address industry challenges. I enjoyed the sessions and the overall atmosphere was a delight. I-COM is definitely ‘THE’ place to be for Data Driven companies. Participating to the Data Startup Challenge gave us a tremendous opportunity to present our Data Science platform to Data best-in-class players in Retail, Banking or Industry. As an output, and thanks to the great conditions created by the I-COM Team, we have been able to engage interesting, direct and fruitful conversations with many companies including Unilever and others. For the second year in a row, Unacast participated as a finalist in the I-COM Data Startup Challenge. The events have been an excellent way for Unacast to showcase its technology for the top people within the data and advertising industry, and winning the overall category last year helped us accelerate our business further. Being a part of the I-COM Data Startup Challenge was an extraordinary experience for S4M. It was very impressive to meet other presenters and address challenges from advertising decision makers and international stakeholders from leading media and creative agencies worldwide. This is a must-do event for marketing experts, especially for data-driven actors. It was truly insightful to engage in conversations on innovative applications between anonymised user data and consumer research panel data - both rising challenges in the heart of our industry today. For data driven start-ups there is no better place to get recognised than at I-COM. Speaking on stage in front very experienced judges and networking throughout the event can put you on the map. Being made the overall winner for the I-COM Data Startup Challenge has helped VMob raise its profile in Europe and around the world. 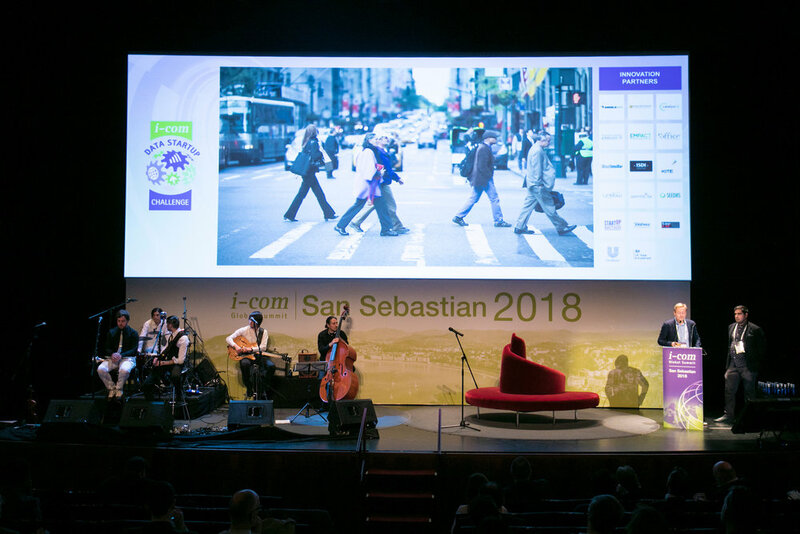 Following our participation we were able to secure a deal with a major European retailer and this was helped by the credibility and validation that the company received from I-COM judges in San Sebastian. To enhance both personal and business reputations. Note: Each Startup can enter only in 1 category and once per competition. The General category covers any Startup that leverages value from Data as a central selling point of its product or service. d. Systems that act rationally (e.g., intelligent software agents and embodied robots that achieve goals via perception, planning, reasoning, learning, communicating, decision-making, and acting). Rewarding work that measures the incremental value of marketing channels, strategies and tactics against business outcomes. Attribution should directly drive optimisation of marketing to improve business outcomes. Rewarding work that involves a strategic and tactical marketing approach focused on creating and distributing information to the buyer that is valuable, relevant and helpful for a target audience using a combination of owned media (e.g. blogs, microsites, social media conversations, print and digital publications, etc. ), paid media and earned media. Rewarding work that is leveraging known customer data to better drive and measure marketing results across all channels. Rewarding work involving data stemming from mobile devices. The data does not need to be exclusively mobile and can be cross-channel in nature. Rewarding work that includes the products and activities in Media Planning & Audience Targeting Innovation. Examples include: the marketing cloud, the RTB protocol, addressable audiences, marketing automation and measurement. Rewarding work that falls within a broad definition of social media, beyond paid advertising in social platforms. This includes topics of social-driven commerce, user comments or conversations, user-generated content, forums and message boards, crowdsourcing/crowdfunding, social publishing, and social media listening. Rewarding work that shows a creative use of data, measuring how viewers are watching video content across devices. Television accounts for 40% of ad spend globally and is in a period of rapid change, viewing is fragmenting across channels and devices with audience measurement struggling to keep up. Qualifying entries must include data stemming from audiovisual content that was at some point broadcasted as part of its distribution, either as programming or advertising.